If you have purchased a comprehensive cover, you can choose to enhance your coverage with optional add-on covers like zero-depreciation cover, personal accident cover, etc. The add-on optional covers can be purchased for extra premium along with a comprehensive policy. A unique service called ‘Let Us Call You’ has been introduced by the company which can be utilised by clicking on the call to action (CTA) button on the right-hand side of the insurer’s website. Head office address – Shriram General Insurance Co.Ltd. E-8, EPIP, RIICO Industrial Area, Sitapura, Jaipur, Rajasthan. How to visit National Insurance Company office at your nearest location? To address your concerns or issues personally, you can visit the nearest Shriram Insurance office, where you can get necessary assistance as per the problem. 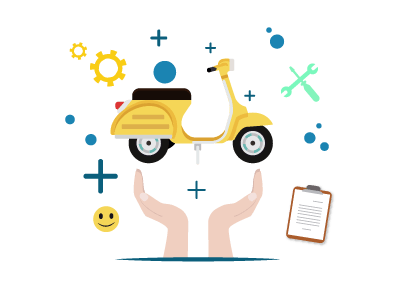 To purchase a new policy, renew the old policy, or to upgrade your current policy, you can visit any of the Shriram Insurance offices by either visiting the website to know the nearest offices or you can contact the customer support for the same. For convenience, you can also email your issue and reach out to the branch or to the head office directly. For more information about other products and services, you can contact the above-mentioned customer care number.